A daily shower. It’s how 2/3 of all Americans either start or end their day. It is a place of comfort and safety; a luxury often taken for granted. Unless you don’t have a shower. Unless you don’t have a home. Enter the St. Petersburg Salvation Army, the Faith Covenant Church, a dedicated volunteer and something called a Shower Ministry. The Salvation Army opens it doors daily to spread hope. For two days a week, that hope includes a chance for the homeless to enjoy their own revitalizing respite. “I can’t think of a more practical and meaningful way to show love and encouragement then providing someone the opportunity to come in off the street, take a hot shower and put on fresh clean clothes,” says Lt. Colonel Gary Haupt, Area Commander, The Salvation Army, St. Petersburg. Bill Osburn never gave much thought to the homelessness issue. A self-made man, Bill’s lifestyle didn’t permit time beyond work and family. The Paducah, KY native moved to the Tampa Bay area with his family as a 12-year-old when his father’s acute arthritis necessitated warmer weather. Bill attended Clearwater High School and went on to earn his undergraduate and master’s degrees in business from Rollins College in Winter Park. Soon after, he and a partner founded Rampart Properties, a property management company in St. Petersburg that he directed for 37 years. It was a lot of work. “I went in early and stayed late,” Bill remembers. And when he wasn’t at the office, Bill and his wife, Jan, were raising three sons. He quickly put his thoughts into action. 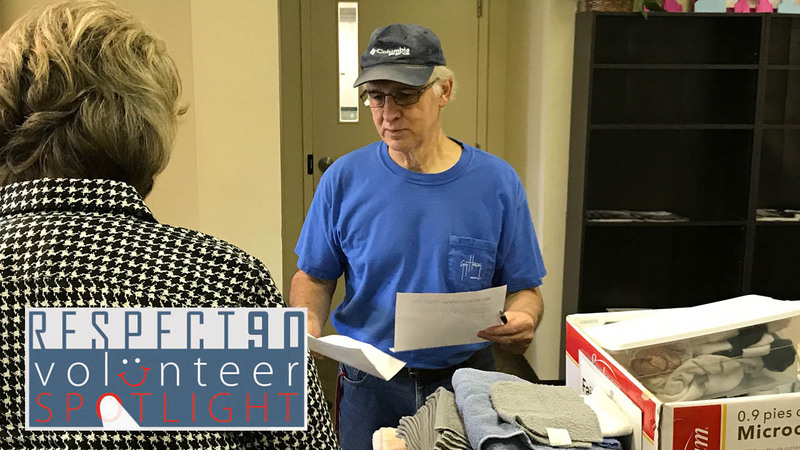 Twice a week for the past four years, Bill, with the help of other volunteers, has directed the Shower Ministry utilizing the two showers at the Salvation Army’s shelter in south St. Petersburg. Homeless citizens sign up for showers during the week and Bill oversees the rest. It means scheduling shower times for 15-20 men and women and providing each with a towel, soap, shampoo, toothpaste, shaving supplies and lotion, all donated by the parishioners from Faith Covenant. The volunteers also make up another 10-15 “to go” bags for those in need of toiletries. The supplies are only half of it. The connections Bill has made, the conversations he has sparked with those waiting for a shower, may be more soothing to some than the hot water and body wash.
“If you sit and talk with these folks you will find they are no different than any of us,” reasons Bill. “Life hasn’t been so kind to them in one way or another. Some of them have chronic health issues. Some of them are dealing with alcohol or drug issues often brought on from something beyond their control. 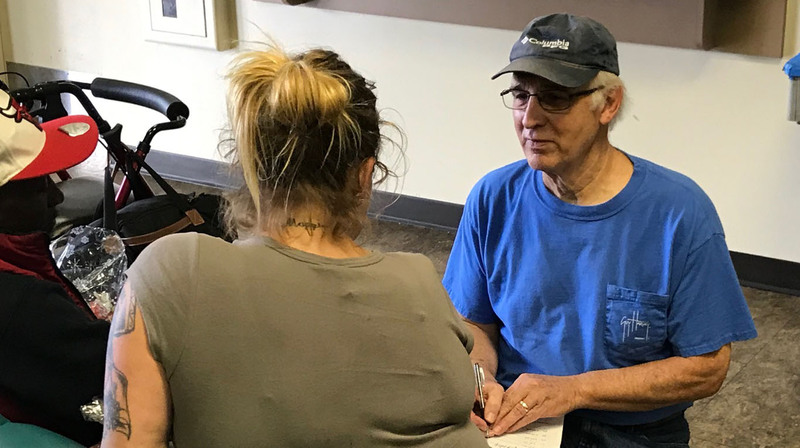 “We are so very grateful to Bill and a dedicated army of volunteers from the Faith Covenant Church who lovingly manage the Shower Ministry and provide hope and encouragement to those often overlooked,” adds Lt. Colonel Haupt. For more information on the Salvation Army, go to salvationarmystpetersburg.org.